Is a book is one of the few things it’s OK to give as a gift to someone who might not like it? Maybe if that person’s a child. With an adult who says they don’t like reading then I guess you have to respect their life choices and file them away under B for barbarian. 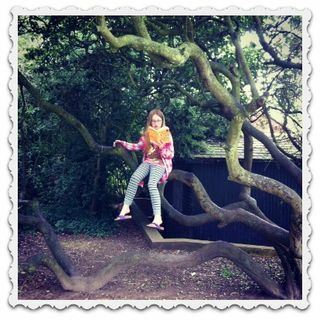 But a kid who doesn’t like reading – surely they just haven’t met the right book yet? And maybe if you provided it, you could be the one to help them fall in love with books? My son was never a huge reader, but slowly slowly this year we have infected him with bookwormitis. 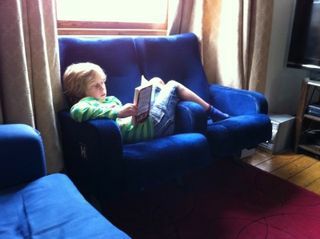 This week he’s been getting up extra early to fit in more reading time, which never would’ve happened a year ago. So how did he get from reluctant reader to avid one? What sort of books will tempt a reluctant reader? OK, so you don’t like books but maybe you like football or superheroes or all-in wrestling or trees or puppies. They have books about all that stuff. Marvel pocket books have been a big hit here. There’s no actual words in these, so they’re much less threatening to a struggling reader. They get the message across that books can be a fun way to pass the time. We were sent this by the publishers a while ago, and I was surprised at how popular it’s been. Primarily this is because there are loads of facts, plenty of words but no big long stories to read and tons and tons of amazing pictures. The other big draw in the 2013 edition is the accompanying app. 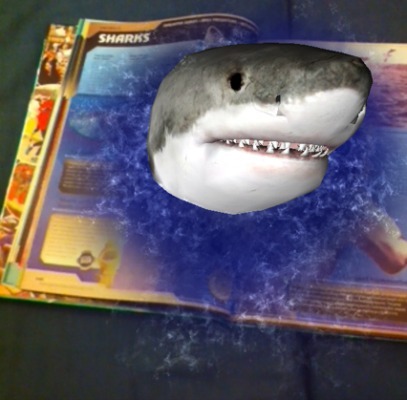 Download it, hold your phone over the pages and the pictures jump out in 3D. Check out our review of this here. This is the book we’ve returned to most often over the last month. It’s fantastic for any reluctant readers who’d rather be playing – basically you’re tricking them into reading by presenting them with loads of pictures of LEGO. The book that’s not really a book, except it is. You could even give the book as well as the audio version so they can read along. We like the How to Train Your Dragon books read by former Doctor Who David Tennant. The Harry Potter books read by Stephen Fry are great too, but unfortuntately they still cost an arm and a leg – the full set is about £400! For cheaper options, my son has listed his top 5 audio books over here on his blog. These award-winning books are our current birthday party gift of choice and they always seem to go down well. They’re a series of illustrated books about a little boy, written by Brighton author Liz Pichon. They’re quite hefty but without a lot of words, so you get the satisfaction of reading a brick of a book without getting overwhelmed. Hilarious! If you don’t laugh at Mr Gum , check your pulse. Reading up a tree not compulsory, but it helps. What do you think? Do you still give books to kids who say they don’t like reading?